We are now in front of the ruins of Khaba Pyramid . We see stone blocks spread over wide area. 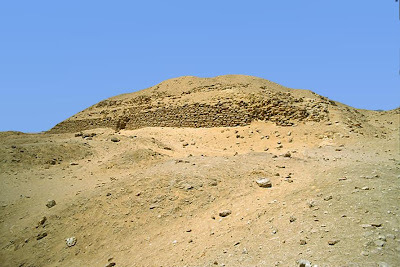 It appears that this pyramid was built during the reign of King Khaba (2603 - 2599B.C) . There are no inscriptions whatsoever , inside or outside the structure , which identify Khaba or anyone else as the builder . A reference to Khaba name is found in the nearby cemetery , which made him the most likely builder . He used small blocks just like Zoser and Sekhemket . Very much so , The blocks are just slightly larger here . Was the final structure intended to be a stepped pyramid ? Yes . it is actually known as the layer Pyramid . 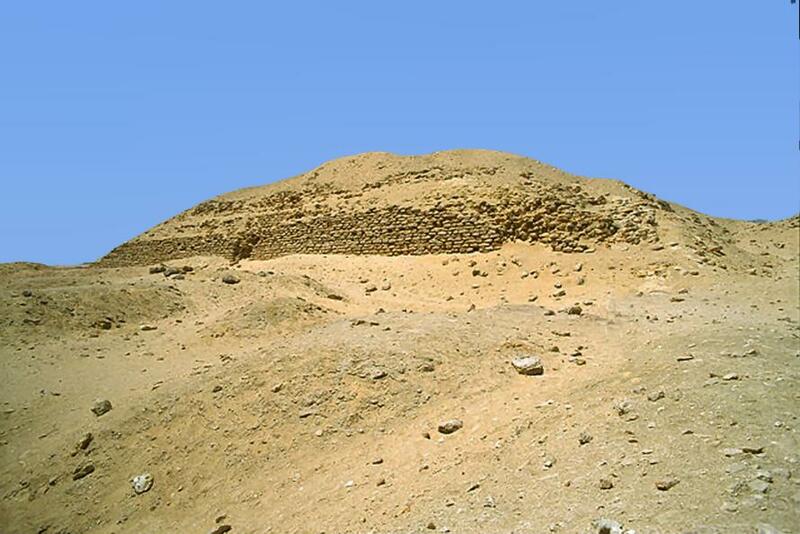 like the Sekhemket Pyramid , the structure here has no central mastaba -type tomb . the whole building was laid out , from the beginning , as a step pyramid . There is only one empty underground room . The passage to the underground room , is located on the north face of the pyramid . The interior is inaccessible at this time . No sarcophagus or stone chest ?